A myFRONTIER account is your one-stop shop with us. With a myFRONTIER account you can track your miles, view your status, set your travel preferences and more! Best of all you can discover the best ways to save more and get more with us! YOUR FRONTIER EXPERIENCE. YOUR WAY. myFRONTIER is where you can manage your account, Frontier preferences and memberships. 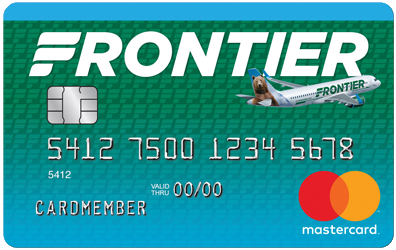 You are automatically enrolled for an account when you sign up for FRONTIER Milessm or Discount Densm, and when you apply for the Frontier Airlines Mastercard®. With a myFRONTIER account you can save your booking details, including passenger, payment and travel preferences and information. Signing up for a myFRONTIER account is free and there are no additional costs. Simply sign up for FRONTIER Miles. Your myFRONTIER account is customizable and personalized just for you. Track your FRONTIER Miles progress, earn status benefit badges and much more. Even arrange your profile by what is important to you! Learn all about the different ways you can save more and get even more with us! See how close you are to your next award flight and Elite Status. Check out which animal tails you have flown with! What's the next tail you'll add to the collection? Manage your family pool and see how many miles you've shared. Which Elite Status benefits have you earned? See how many miles you have flown with us! Manage your Discount Den membership and check out your benefits.